Natural leather shoes. 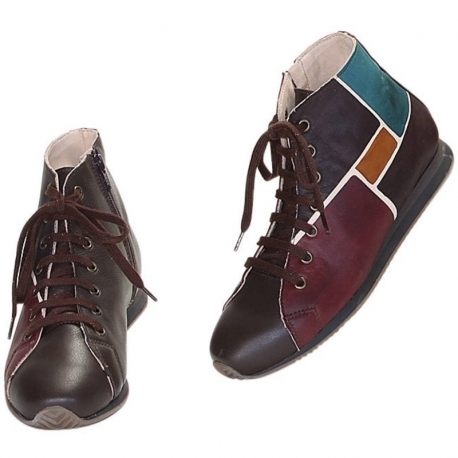 Lace-up bootie with upper natural leather, leather inside and rubber outsole. Zip closure cm 11. 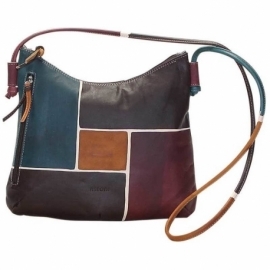 Ideal for casual clothes in your free time, match them to your Acquerello handbag! Colors black, blue, yellow and dark violet and geometrical pattern.